The rare earth element Indium, used in photovoltaic solar panels, has been found in the mine tailings from Bisbee, according to Alan Koenig, a USGS geologist in charge of a project to re-examine thousands of samples from major mineral deposits collected over the last 150 years, in hopes of finding minerals that were overlooked when the main targets of gold, copper, silver, etc were recovered. Koenig is quoted in an interview posted on Yahoo Finance's Australia website. 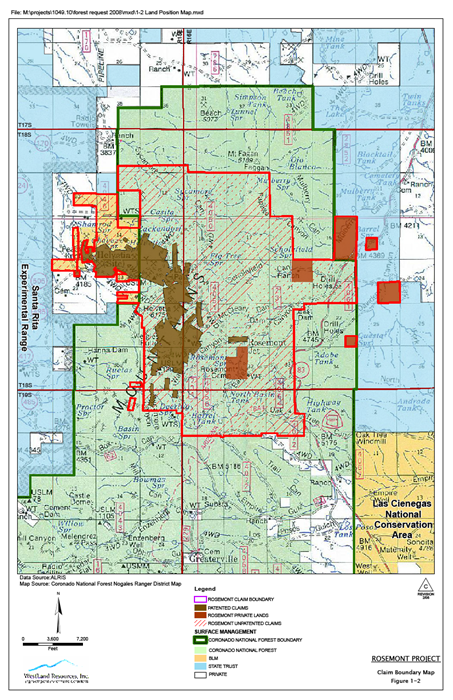 Last Thursday was the deadline for cooperating agencies to submit their comments to the Forest Service on the Final EIS for the proposed Rosemont copper mine south of Tucson. Rosemont's been riding a wave of positive developments this summer with an Administrative Law Judge's upholding of the Aquifer Protection Permit followed by the WQAB decision, the release of the Final EIS, and last week's announcement that nearly $1 billion in financing has been secured to construct the mine. There is widespread expectation that mine opponents will be filing numerous lawsuits to try to prevent or at least delay mine construction from beginning in 2014. 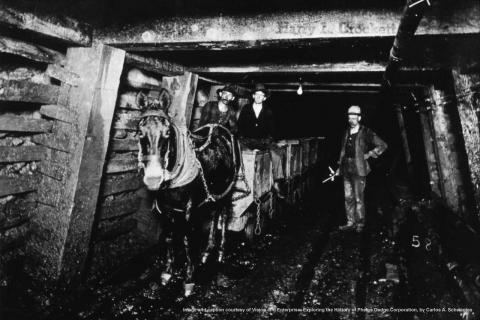 Can Bisbee mine tours be kept open? The radon levels reported do not appear to be a problem for occasional visitors, but tour guides and other staff who spend extensive time in the mine could be at risk. However, the usual solution to increased radon levels is to provide greater ventilation and dilute any radon-bearing air. The cover for the September issue of EARTH magazine proclaims "Geoscience Embraces BIG DATA" with a feature article inside on "Digitizing Earth" [right]. AZGS is showcased for our roles in the DOE-funded National Geothermal Data System ("One of the most successful programs to date...") and the NSF EarthCube initiative. We are managing the largest of the four NGDS projects on behalf of the Association of American State Geologists, where we have set up distributed data nodes in most of the Geological Surveys across the country with data coming into this federated system from all 50 states. We have over 5 million records online currently and expect that number to increase dramatically by year end. The EarthCube program is envisioned as transforming the way geosciences are practiced, using computer and information sciences to create a cyber-infrastructure. AZGS is managing the EarthCube Governance Framework, the website, and leading the community engagement effort. We just held a two-day workshop here in Tucson at the wonderful Hacienda del Sol resort, where about 30 leaders in the geosciences (Earth, atmosphere, oceans, and polar) and computer sciences gathered to share results of workshops they have organized over the past 9 months in their disciplines to consider their needs and requirements in cyberinfrastructure. My conclusion is that there is broad consensus on what the different scientific communities want, and a lot of commonalities about the design concepts and functionalities. This augurs well for the plans we are formulating to organize the communities and seek consensus on governance and system architecture. 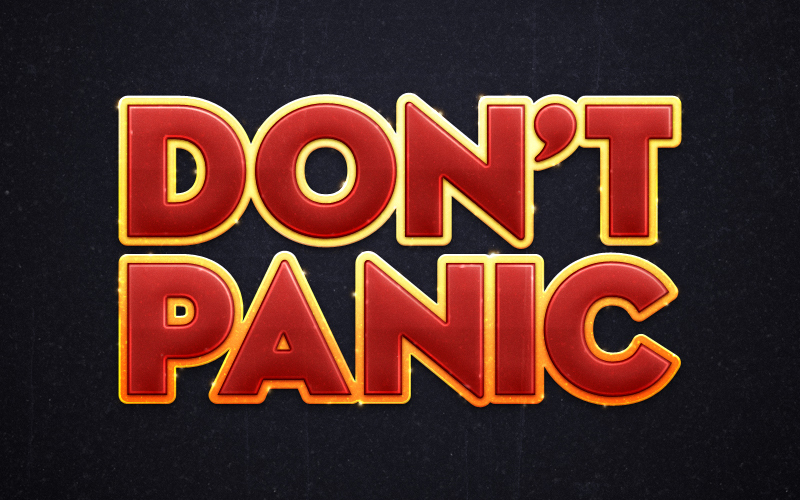 Arizona potash companies say "don't panic"
Like it says on the back cover of "The Hitchhiker's Guide to the Galaxy," don't panic! The apparent collapse of the BPC potash cartel and the resulting dramatic fall of world potash prices has sent the commodities markets into massive uncertainty and raised questions about the financing and viability of proposed potash projects worldwide. But the heads of Passport Potash and Prospect Global Resources, two companies actively exploring Arizona's Holbrook basin, say it's too early to write off projects such as theirs, with low capitalization costs, established infrastructure, a stable political and economic environment, and ready access to major markets. 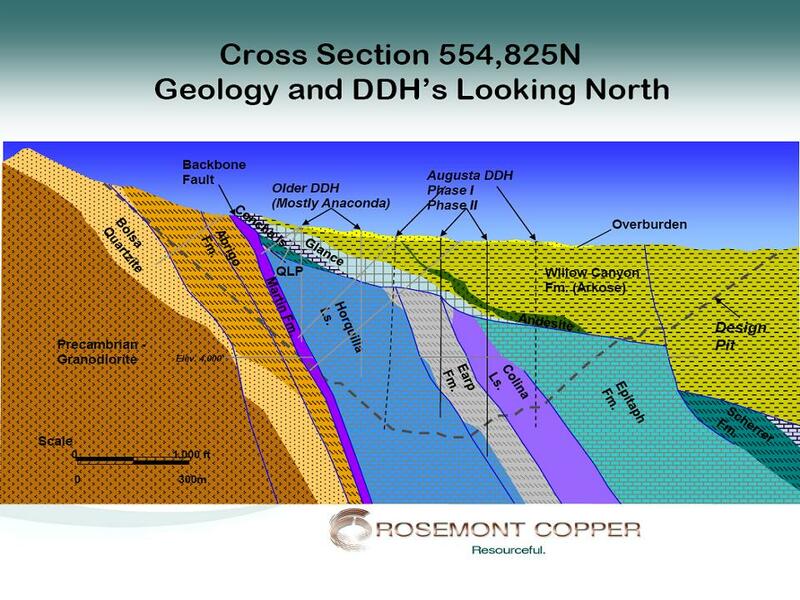 Augusta Resource Corporation is pleased to announce that its wholly owned subsidiary, Rosemont Copper Company, together with its joint venture partners, LG International Corp. and Korea Resources Corporation (together with Augusta, the "Sponsors") have executed a project financing mandate letter (the "Mandate Letter") with a syndicate of twelve international financial institutions (the "Mandated Lead Arrangers" or "MLAs"). 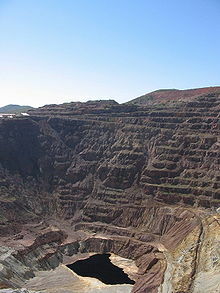 The Mandate Letter sets out an exclusive arrangement with the MLAs describing the activities needed to arrange a limited recourse loan facility for the construction of the Company's Rosemont Copper Project ("Rosemont") in Arizona. The proposed senior secured loan is expected to provide all of the debt required for Rosemont, including a cost overrun component. The Mandate Letter sets forth the required steps, including agreement on final terms and conditions and requisite documentation for the loan, completion of due diligence, and procurement of credit approvals, as well as time frames for completing these steps. The Mandate Letter also specifies the roles and responsibilities of the MLAs, appoints certain MLAs to agent roles and stipulates certain fees payable to the MLAs and agents. The twelve MLAs who have signed the Mandate Letter include: BNP Paribas, Commonwealth Bank of Australia, Crédit Agricole Corporate and Investment Bank, Export Development Canada, Export-Import Bank of Korea (Financial Advisory and Structuring Department), ING Capital LLC, KfW IPEX-Bank GmbH, Korea Development Bank, Korea Finance Corporation, Korea Trade Insurance Corporation, and Mizuho Bank, Ltd. The MLAs are being advised by Shearman & Sterling LLP (Lenders' Counsel), DeConcini McDonald Yetwin & Lacy, P.C. (Lenders' Arizona Counsel), and SRK Consulting (U.S.), Inc. (Lenders' Independent Engineer). The Sponsors are being advised by Endeavour Financial International Corporation (Financial Advisor), Allen & Overy LLP (Project Finance Counsel), Fasken Martineau DuMoulin LLP (Corporate Counsel to the Company), and Fennemore Craig, P.C. (Sponsors' Arizona Counsel). News reports last week about flooding in Havasu Canyon sounded dire with water supplies to Supai Village knocked out. But news coming out of the remote area that has no road access to the outside world is that the flood was relatively minor and just hit a couple of sensitive spots. Our contacts report no major damage. Their water line broke but is now fixed. They said their sewer line across the river backed up but was not broken. AZGS geologist Brian Gootee will be heading down the canyon shortly to assess stability of trails and the slopes below tribal cemeteries that were damaged in previous floods, and offer advice on additional work to be done.